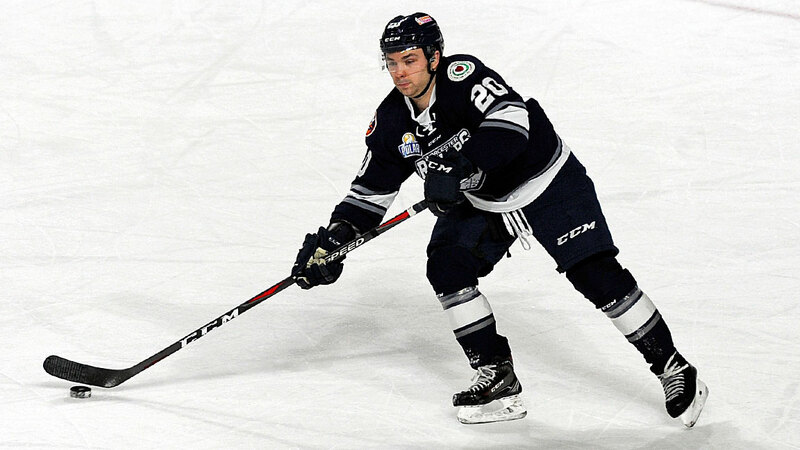 Manchester, NH – The Worcester Railers HC (23-22-5-3, 54pts)continued their season long seven-game road trip with a disappointing 7-2 loss to the host Manchester Monarchs(28-24-1-1, 58pts) in front of 1,214 fans at the SNHU Arena on Wednesday evening. With the loss, the Railers are now four points behind the Manchester Monarchs and the Brampton Beast for the 4th and final playoff spot in the North Division. Game six of the Railers road trip continues with an 3pm start in Portland, ME vs. the Mariners. Notes: Three Stars: 3rd star: Alex Rauter (1-0-1) 2nd star: David Kolomatis (1-1-2) 1st star: Sam Kurker (1-3-4) …. final shots were 39-31 in favor of Manchester…. Charles Williams (16-10-1) made 29 saves on 31 shots for Manchester…. Evan Buitenhuis (9-9-4) made 32 saves on 39 shots for Worcester while Mitch Gillam was the backup…. Worcester went 2-for-7 on the power play while Manchester went 1-for-4…. Kyle McKenzie (inj), Matt Schmalz (inj), Tommy Panico (inj), Alex Vanier (inj), Connor Doherty (inj), Robert Powers (travel, immigration), Mike Cornell (susp) and Tommy Kelley did not dress for Worcester…. Bo Brauer played defense for the 5th straight game and scored his 2nd goal as a defenseman and added an assist….Jeff Kubiak is on recall with the Bridgeport Sound Tigers….before the game the Railers signed defenseman Kevin Hart and the daytime accountant played his 4thgame for Worcester…. Defenseman Ivan Chukarov (UMass-Amherst) made his professional debut for Worcester and wore #13… Nick Sorkin, Josh Holmstrom, Bo Brauer, and Matty Gaudreau added assists for Worcester…. the Railers are now 10-14-1-2 on the road this season and 2-2-1-0 on their season long seven game road trip….Dylan Willick picked up his first pro fighting major – his first penalty after not having one in his first 54 pro games….Barry Almeida had seven shots on goal….the Railers had allowed just three shorthanded goals all season but allowed two tonight….Worcester has allowed 13 goals in their last two games.